Oh chickadees. For all that I love talking about the fiction of the here and now, sometimes it's worth taking a moment to look back on the classics of yesteryear. 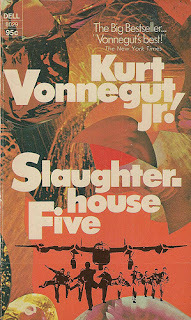 So today we're going to take a minute and talk about Slaughterhouse-Five, which, despite its amazingness doesn't get nearly the attention it deserves. I might rail against the classics a lot, but sometimes even I have to admit that some classics are classic for a reason. 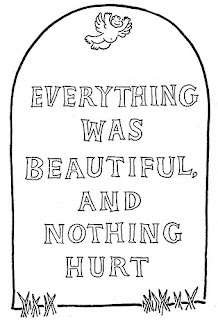 That's the case with Slaughterhouse-Five. I first read the book when I was deep into my Vonnegut phase (because I am exactly that kind of pretentious nerd-child) and I loved it with the fervency expected of me, but upon reading it again just a few weeks ago, it's struck me how good this book actually is. I mean, occasional narrative over-focus on breasts aside, it's really good. Why don't we talk more about this book and how good it is? It seems to me that a lot of the time Slaughterhouse-Five gets lost in the shift from "literary fiction" and "science fiction". A book that is technically neither and both of those things, it's hard to pinpoint exactly where it ought to fit, and so a lot of the time it ends up excluded from both categories, which is a crying shame. But I don't think that's the only reason why, for all of its instantaneous popularity and cultural cache, Slaughterhouse-Five hasn't really made the leap to "must-read" territory. I think a lot of it has to do with the fact that the book isn't interested in telling a nice, easily digested war story. And I think that makes people uncomfortable. 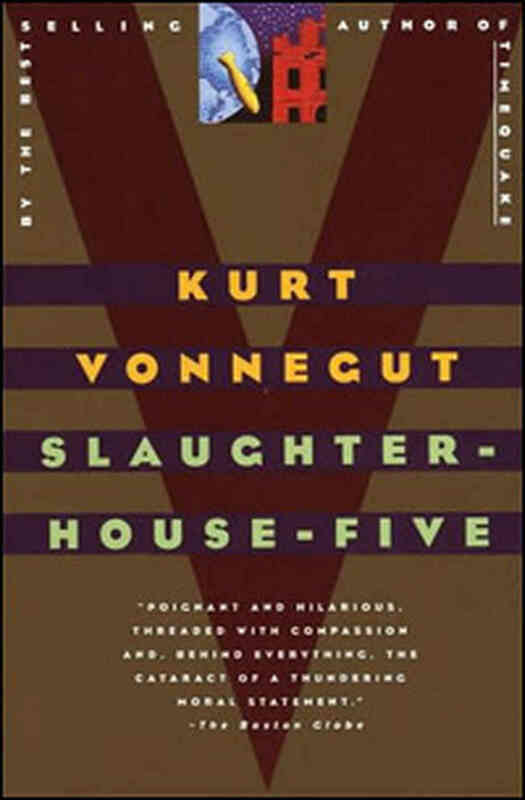 The basic plot and premise of the book makes it sound as though Kurt Vonnegut were telling a straight-forward (ish) science fiction story, but the context refuses to make that comfortable for the reader. Ostensibly the story of a soldier named Billy Pilgrim going through World War II, experiencing both time travel and alien abductions, the novel is actually a semi-autobiographical deconstruction of PTSD and what it means to be truly in a war. So it's weird. It's weird and it's uncomfortable and we don't really know what to do with it. The novel follows our hero, Billy Pilgrim, but makes no mistakes that Billy isn't much of a hero at all. Skipping all throughout Billy's life and timeline, the book never romanticizes him or raises him up as a role model to be emulated. When describing Billy during the war, Vonnegut makes sure to always emphasize how pitiful and sad Billy looks. When talking about his life afterwards, Vonnegut's language makes clear how much Billy is just coasting through life without dealing with the trauma he has lived through. In other words, it's not a sugar-coated story at all. Not in the way that some writers pride themselves on making characters disgusting or reprehensible either. Billy isn't gross or awful, he's just kind of sad. Since the story itself is non-linear and unreliably narrated, the best I can do is give you a brief sketch of Billy's life. The timid child of a domineering father and an emotionally manipulative mother, Billy grows up to be a beanpole of a man who is drafted into WWII and arrives as a relief troop during winter towards the end of the war. Billy is never outfitted properly for the fight, or given a weapon or any real responsibility, so when he finds himself trapped behind enemy lines with a fellow soldier, it's all Billy can do not to die of hypothermia, let alone fight the enemy. He and the other soldier, Roland Weary, are eventually captured by German troops and placed in train cars with the other American POWs where they are starved and deprived and frozen until they eventually reach their destination of a work camp outside Dresden. After being vaguely patched up by some British troops, the men, including Billy, are then shipped to Dresden proper, kept in an empty slaughterhouse, and used for cheap labor in a factory. They are still there when the Allies bomb the city of Dresden, and the POWs become some of the only survivors from that city, emerging from their bunker to see a place that looks like "the surface of the moon." It's not long after this that the war ends and Billy Pilgrim is sent home. Though he at first has trouble readjusting to civilian life - at one point he checks himself into a mental hospital though he can't say precisely why - eventually Billy is able to finish his degree in optometry, marry a nice rich girl, and have a couple of kids. He and his wife love each other in the uncomplicated, not particularly romantic way of a lot of post-war marriages, and they grow old together reasonably happily. After Billy is in a plane crash which fractures his skull and his wife dies while he's in the hospital, Billy comes home and is by all accounts different. He is obsessed with telling everyone in the world how he was abducted by aliens and the enlightened view of time that they have to share with Earth. Eventually his mania overwhelms his ability to care for himself or to continue his work, allowing his daughter to take him in and functionally infantilize him. Which means that, in a very real way, Billy Pilgrim's story ends up making one big loop. Okay. So that's the rough timeline of things that happen in our world in Slaughterhouse-Five. But here's where the book gets tricky. See, the bulk of the story isn't just about Billy's experiences in the war and his life afterward, it's an exploration in unreliable narrators. What I didn't mention is that the story is bookended by two chapters written in the first person about Kurt Vonnegut meeting up with an old friend and going to Dresden to see what the city is like now. These chapters, combined with the occasional asides that Vonnegut slips into the story, remind us that part of this book is true. Probably. Kurt Vonnegut really was a prisoner of war in Dresden during the Dresden bombing. Certain aspects of the story seem to be taken very literally from Vonnegut's memory, particularly noted when he himself writes. "I know because I was there," and various other things to that effect. What this means is that we as the audience are never really sure what in the book is based on Vonnegut's real experiences and what is made up. Even more, we don't know what of the story is meant to be taken literally and what is not. Even in the war, we find that Billy Pilgrim is "unstuck in time", swinging wildly in his mind between his birth and his death, constantly time-traveling to different moments and living in them. 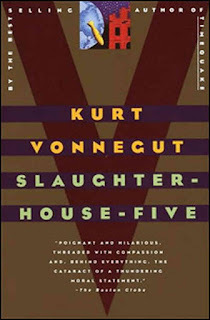 Since this happens most notably when Billy is in the war or reminded of it, it seems probable that Vonnegut is using these interludes as a literary device to show Billy Pilgrim's dissociative episodes brought about by the trauma. But it's also not that easy. Vonnegut distinguishes between times when Billy is traveling through time and times when he's just remembering something and times when he's actually hallucinating. And that's without even getting into the stuff about how Billy is abducted by aliens in his forties and spends years in an alien "zoo" with a famous movie star who went missing, only to find himself miraculously placed back in his own house only minutes after he went missing. The book is confusing is what I'm getting at. At no point in the story do we, the audience, know for sure what Vonnegut means for us to take literally, what is actually true historical fact, and what is pure nonsense made up for a metaphorical impact. We have no idea, because we're not supposed to have any idea. That's the entire point. 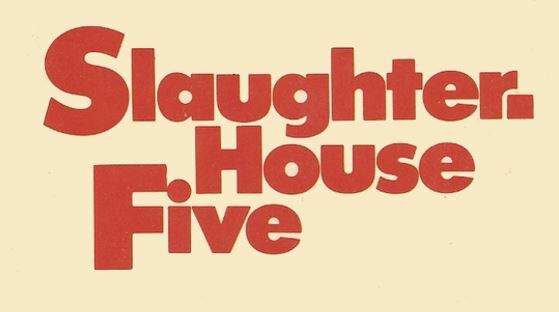 Slaughterhouse-Five is a book intentionally written to confuse - it flies in the face of war narratives that present easy answers, clear stories, and the idea that war is anything other than a traumatizing mess of images and sounds. Billy Pilgrim is a fascinating character precisely because he's so not what we expect from the protagonist of a novel about war. He's gawky and awkward and sad. He tries to give up and die multiple times. At no point in the book does he do something we might consider heroic or sacrificial. He just sort of is. All the time. The entire point of the book is buried in what a lot of people call the most confusing or "out of place part" - Billy's abduction by aliens from Tralfamadore. The aliens who kidnap Billy have a singular understanding of time that informs the entire rest of the book. Basically, Tralfamadorians see time as all happening concurrently. Every bad day is happening at the same time as every good day. They don't see time as linear but rather as flat. So for someone on Tralfamadore, your birth is happening at the same time as your death at the same time as your wedding at the same time as your skinned knee in second grade at the same time as your car crash in your seventies. It's all happening at once, rather than in a row. So for Tralfamadorians, the future isn't something that might happen, it's more what will absolutely happen and what has always happened and what always has been happening. The future is set. It must be, because we can see it. Billy's time traveling, to them, makes perfect sense. Of course Billy can swing wildly through his own timeline. It's all going to happen no matter what Billy does. There are no choices that will alter the course of his life, so who cares if he knows how he will die? What a lot of people fail to see in this "bizarre" interlude is why the attitude the Tralfamadorians extrapolate from this experience of time is so appealing to Billy Pilgrim, and to a lot of people who have been through a great trauma. The Tralfamadorians believe that since all of time is happening, will happen, and always has happened in a set pattern, the simplest thing to do is to look at the nice things and ignore the bad ones. It sounds laughably simple, but think about it. The alien abduction sideplot is in this book to remind us of how comforting it is to believe that there was nothing we could have done to prevent this and nothing we can do to change it now. It's there to say, "No use dwelling on things you can't change, might as well look at the sunshine and the flowers while you can." It's funny how much I like this book, considering that I consider this life philosophy to be antithetical to my own. I mean, I'm the queen of the "Just because you can't save the world doesn't mean there's an excuse not to try," club. I'm a firm believer in fighting destiny and I love free will. But I get why Billy Pilgrim's flat time is so appealing. I get it. It absolves us of having to deal with trauma and it's a comfort when we've been hurt. We were always going to be hurt, so there's no use in going back over it and trying to figure out what went wrong. Just move on. And, to a certain extent, I agree with this philosophy as it regards the past. I'm not overly interested in thinking about hypotheticals in the past. What if the Hindenburg hadn't happened and zeppelins were still okay? What if the Nazis had won WWII? What if Al Gore became president? Who cares? I'm not interested in talking about how the past might have gone, but I am interested in talking about where the future will go. And to that means, I am invested in looking at why certain things happen in history, even if I really don't care about imagining scenarios where they didn't. What am I getting at? 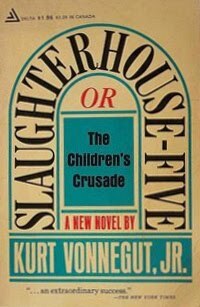 Well aside from really wishing that we spent more time talking about Slaughterhouse-Five in school - I think that if we're going to talk about post-war American fiction, this should be top of the list - I think this book is important as a reminder that the truth isn't always as clear cut as we want it to be. It's a reminder I have to give myself a lot of the time, but it basically all comes back to the sheer unreliability of the plot in this book and how that doesn't necessarily make it any less true. Billy Pilgrim may or may not actually be time-traveling and hanging out with aliens in this book. We really don't know and we really aren't supposed to know. It's easy to come up with simple explanations that push it one way or another, but frankly, we're never going to have a real answer. There isn't one. Instead, we have to decide as an audience if the question even matters. Does it matter whether or not Billy Pilgrim was actually traveling in time? 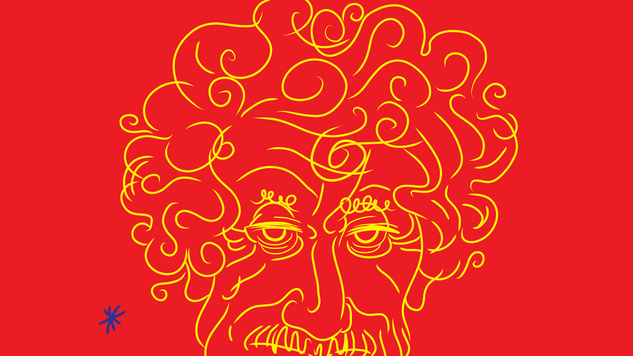 Does it matter if Kurt Vonnegut really was in all the situations he says he was? Is the book any worse if we stop worrying what of it is true? 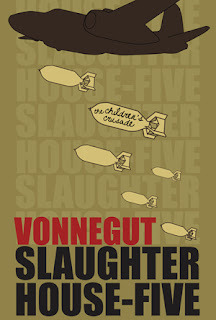 I like that Slaughterhouse-Five is so impenetrable. I love that we don't know what's true. But what I really appreciate is the idea that it doesn't actually matter to us whether Billy Pilgrim's story is true or not. It's not the important part. What's important is whether or not we get something out of it. And this is true of all fiction. It's not less valuable for being "not true", because fiction is about getting across emotional truths with words. So in a sense it is true and it isn't, and I like that. In science fiction especially, I think we get too caught up sometimes in making sure that our stories are "realistic" and "could actually happen." That doesn't actually matter. The lack of accurate physics in Star Wars doesn't make it a less compelling story at all. We don't need objective truth for subjective truths to hit home. We just need to be willing to listen. 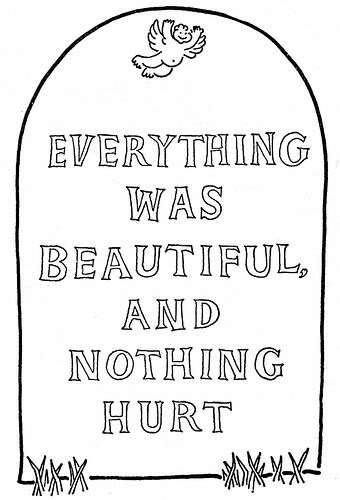 So thanks, Kurt Vonnegut, for writing a confusing little book about a sad little man. I think the best part is how much you would enjoy hearing it described that way.